The world’s recorded history is only a small percent of everything that has happened so far. Since humans are innately curious and are always willing to uncover more of earth’s secrets, there are various museums that have been established to suit our thirst for knowledge. There are various museums to visit across the world but what many people tend to overlook is the one found in Florida. Aside from Miami’s amazing beaches and Orlando’s Disney World, Florida is also home to one of the best historical museums in the world. Located at 3215 Hull Road on the campus of the University of Florida in Gainesville, the Florida Museum of Natural History is a state-sponsored and chartered museum that focuses mainly on the natural history of the world. 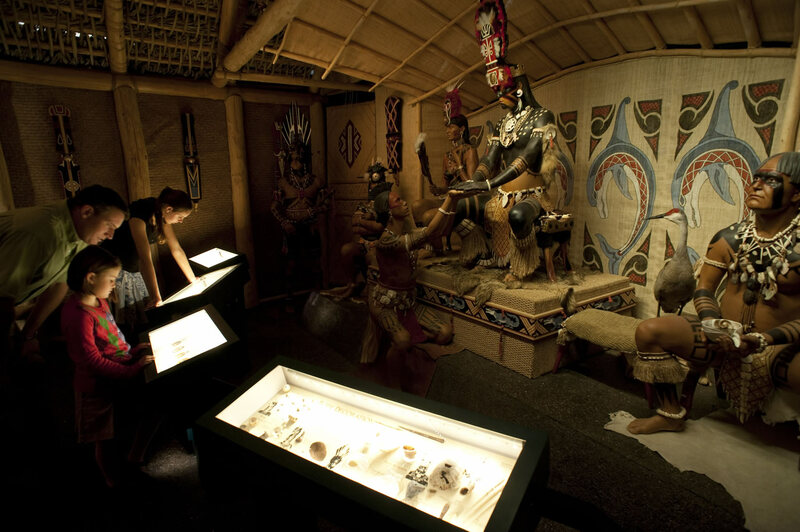 It showcases exhibits that highlight the history of the world right down from its early stages. It is a must for aspiring historians, archaeologists and people that want to see the world’s history beyond books. 2 What are the operating hours in the Florida Museum of Natural History? 3 What are the ticket prices in the Florida Museum of Natural History? 4 How to get to the Florida Museum of Natural History? 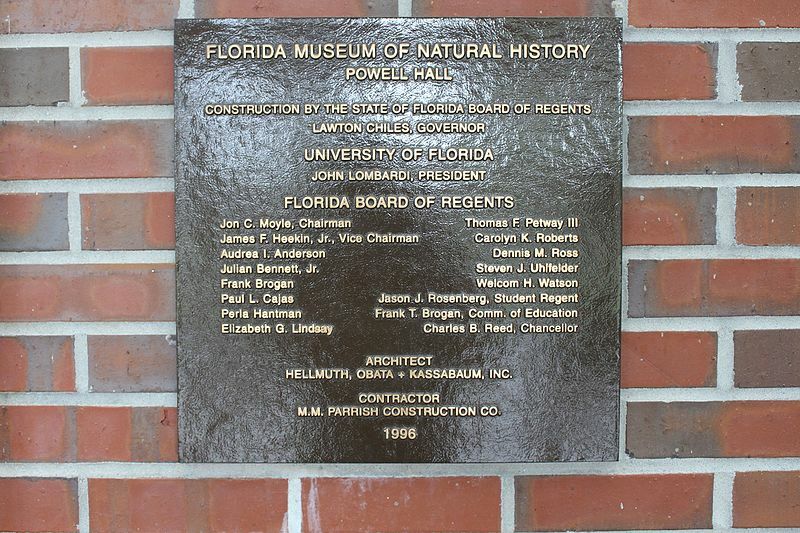 The main public exhibit facility of the Florida Museum of Natural History is the Powell Hall which is attached to the McGuire Center. The Powell Hall houses the permanent exhibits of the museum which includes flora, fauna, fossils and historic people of the state of Florida. 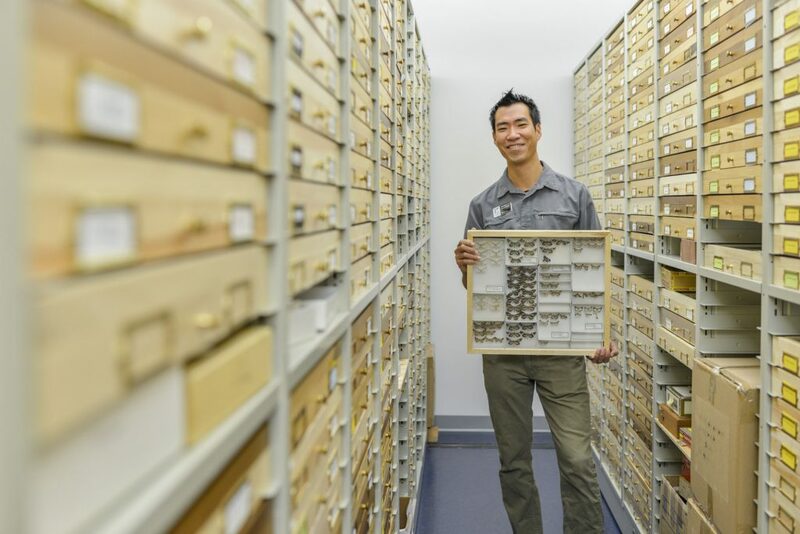 Despite highlighting the bygone eras, the Florida Museum of Natural History is a piece of the state’s long-running history as well. The museum was not intended to be as such when it first began. The museum’s earliest collections were first intended to become educational materials at the Florida Agriculture College in Lake City during the 1800s. The collection was then moved to the campus on the University of Florida in 1906. By then, the students at the museum made full use of the collection, having it used interactively for their studies. 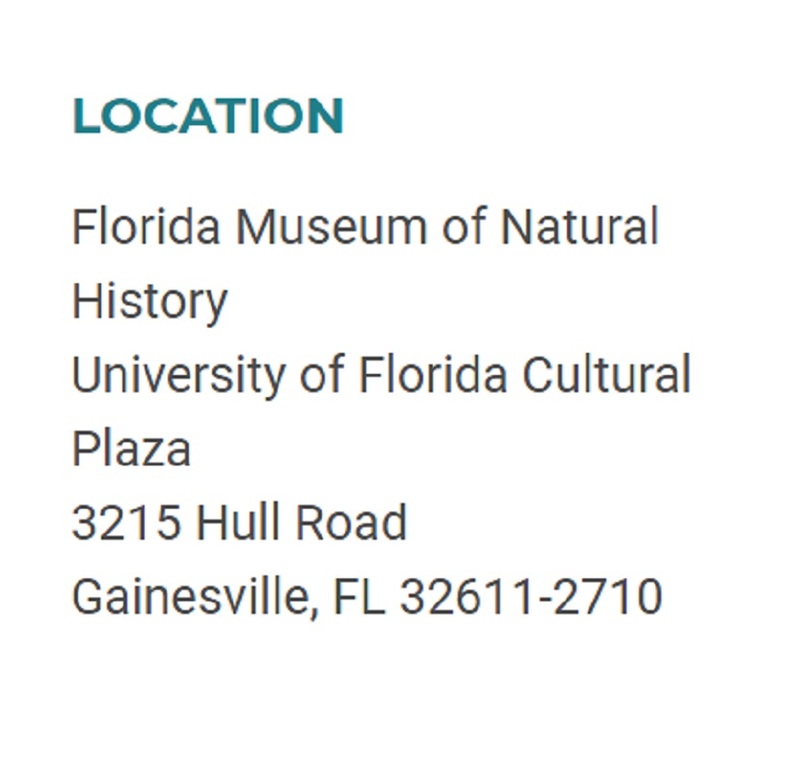 “The functions of the Florida Museum of Natural History, located at the University of Florida, are to make scientific investigations toward the sustained development of natural resources and a greater appreciation of human cultural heritage, including, but not limited to, biological surveys, ecological studies, environmental impact assessments, in-depth archaeological research, and ethnological analyzes, and to collect and maintain a depository of biological, archaeological, and ethnographic specimens and materials in sufficient numbers and quantities to provide within the state and region a base for research on the variety, evolution, and conservation of wild species; the composition, distribution, importance, and functioning of natural ecosystems; and the distribution of prehistoric and historic archaeological sites and an understanding of the aboriginal and early European cultures that occupied them. What was once a small collection intended for learning is now something completely different. In the past century, the museum has grown bigger and better. 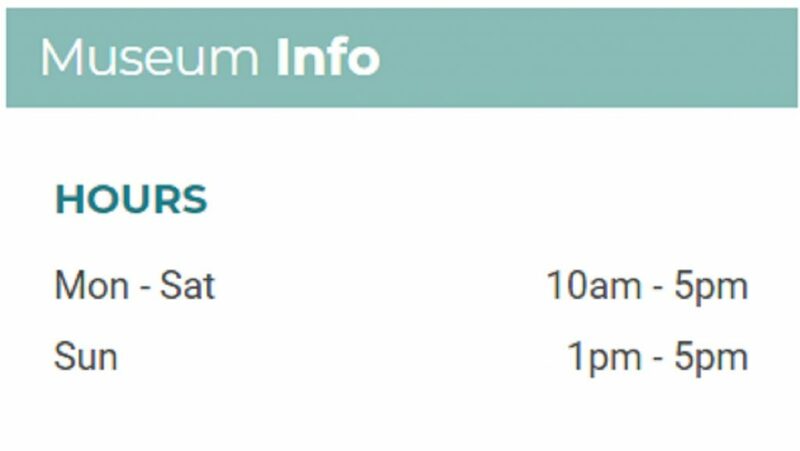 What are the operating hours in the Florida Museum of Natural History? 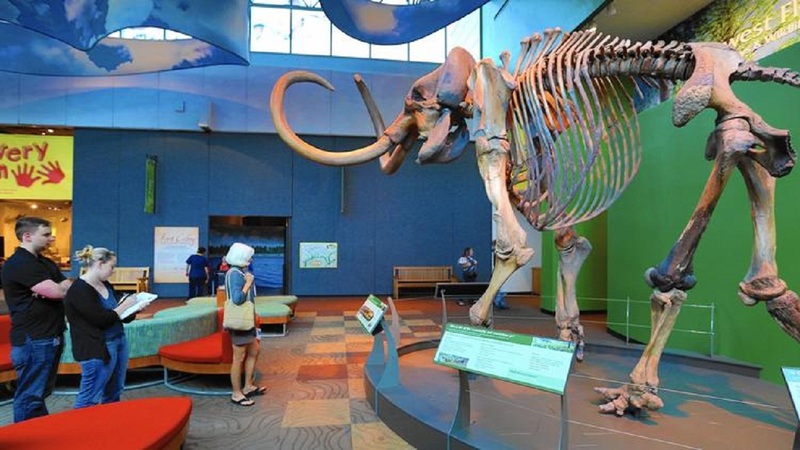 The Florida Museum of Natural History operates from 10 AM to 5 PM from Monday to Saturday. The number of visitors peaks at around the afternoon so it would be best to get tickets early in the morning. The museum opens a little bit later during the weekends at 1 PM but it closes at the same time. It is worth noting that the ticket booth closes its doors 30 minutes prior to closing. It is open year-round but it is closed for Thanksgiving, Christmas Eve and Christmas Day. What are the ticket prices in the Florida Museum of Natural History? What is so amazing about the Florida Museum of Natural History is that despite its size and coverage, admission to the area is free. The museum accepts donations in kind but these are not in anyway compulsory. The museum uses the donations to upgrade its facilities so these will be for the improvement of the overall experience of the place. It is worth noting that there is a cover charge for featured exhibits and the Butterfly Rainforest so it would be best to carry a few dollars just in case. 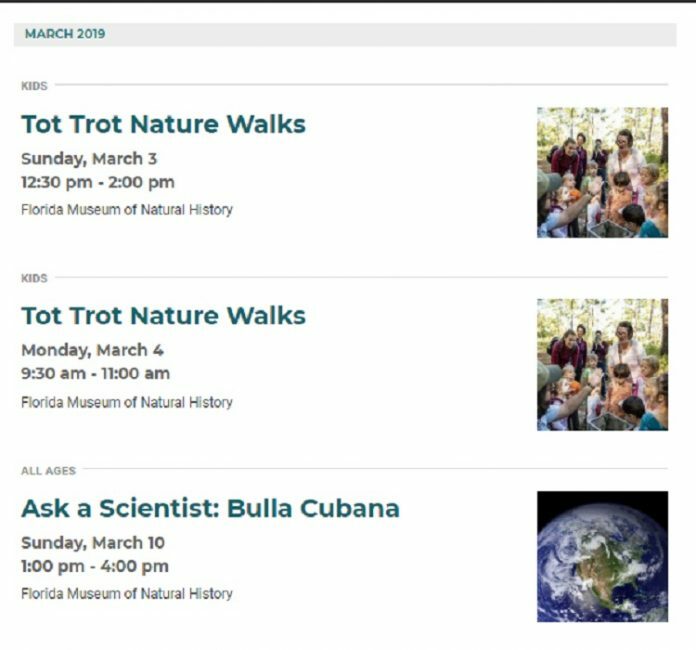 How to get to the Florida Museum of Natural History? Since the museum itself is located within the University of Florida, it is fairly easy to get to the area via public transportation. The best way to get to it is by taxi since there are a ton of cab services in Gainesville. Alternatively, it is also advised to check out the routes provided by the Greyhound bus service. People can also use the Regional Transit Service that provides transportation throughout the campus and the city of Gainesville. For those outside Florida, the nearest airport to it is the Gainesville Regional Airport. From here, it is easy to hail cabs to get to the University of Florida. It is also not far from other major cities in the state. It is 85 miles away from Jacksonville, 331 miles away from Miami, 109 miles away from Orlando, 144 miles away from Tallahassee and it is 128 miles away from Tampa. Now that we know a lot about the place, it is now time to check out all that it has to offer. The Florida Museum of Natural History is home to countless attractions and exhibits and checking them all out is a must for the visitors. Here’s a glimpse at what the museum has to offer. While Florida is known for its gorgeous beaches, the things that the state can offer doesn’t just stop there. It also has a rich natural history which you can explore and get to know more with its museums. One of the well-known museums that it has and is a must-visit is the Florida Museum of Natural History. Here are a few reasons why it’s worth the visit. There may be a lot of butterfly sanctuaries in your city but Florida Museum of Natural History’s own butterfly exhibits are much different. This is because aside from the indoor butterfly exhibit area that they have where you can get a closer look at the different types of butterflies and see museum scientists at work, the museum also has a butterfly rainforest. Yes, you read it right. They actually have a miniature rainforest in the area where you can get to see hundreds of free-flying butterflies. 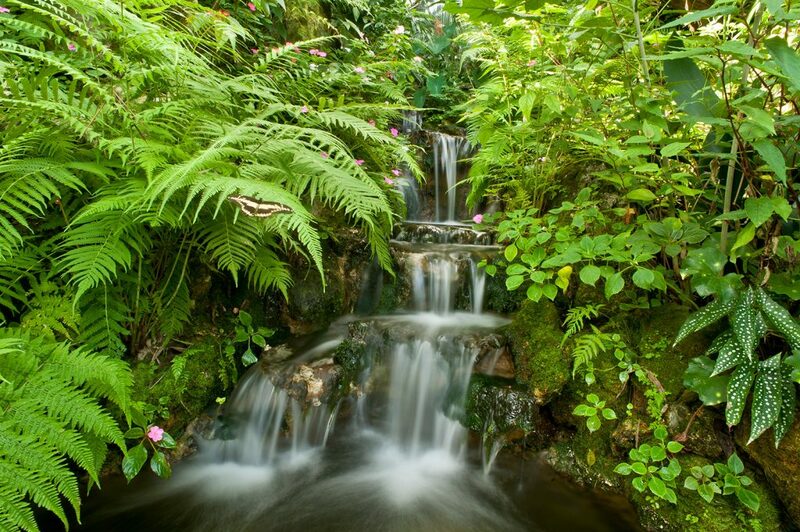 The best part of this living exhibit is that it has its own waterfalls plus you can get to see other animals such as birds, fish, and turtles. Also, you can get to have a closer look at different plants, vibrant flowering plants, and even tropical trees The living exhibit has interpretive staff available in the area as well which will give you a personal and very engaging experience which is one of the many reasons to visit the Florida Museum of Natural History. Another one of the reasons to visit the Florida Museum of Natural History is because it’s great for families who have kids. This is because the museum allows its visitors not just to explore the natural history that Florida has but it also lets them get to know nature themselves. The place has its own discovery zone where kids, as well as adults, can explore the past and present by closely examining the three large touchable ammonites and meteorite plus the fossils that it has. 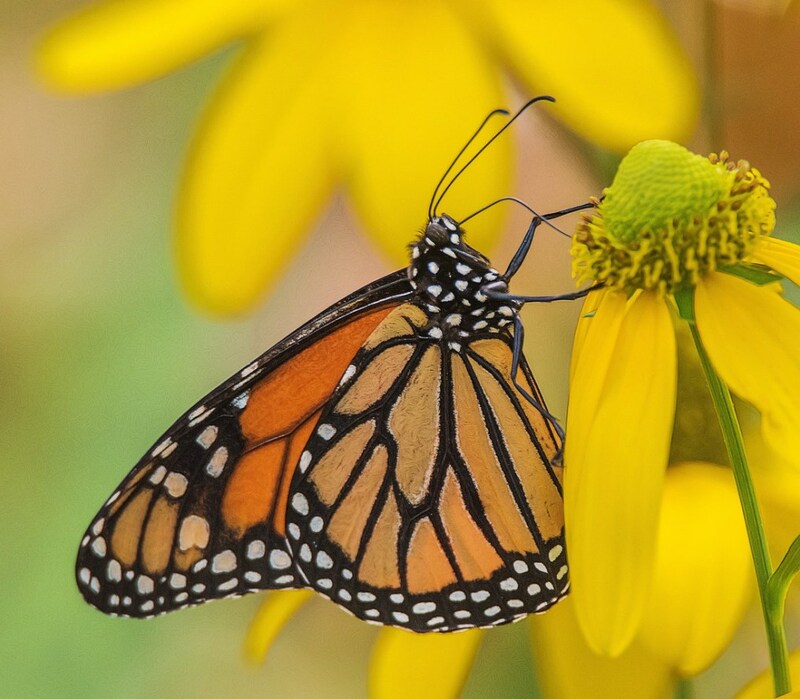 The museum also houses sculpted larger-than-life displays of flower vines that feature Florida’s state butterfly, the Zebra Longwing. In addition to that, there are also other displays that illustrate insect classification and diversity. Young visitors can also make a comparison and contrast of an array of skeletons, skulls, teeth, and limb bones; use microscopes and closely examine fossils, shells, insects, and bones; and so much more materials that will not just entertain them but will also educate them about nature. Of course, the museum isn’t just about animals and plants. Rather, it also lets you get a peek of its culture as well as its colorful past which makes it one of the top reasons to visit the Florida Museum of Natural History. With its new exhibit, tourists, as well as locals, can take a look at what the culture of the old dwellers of Florida is like. But the best part of this exhibit is that it’s not just about Florida but the collection features things about all the major geographic areas of North America as well. In fact, it is considered by far the largest collection in the Southeast with over 3,600 artifacts. Some of which are paintings, garments made with elaborate beadwork, bags, and pieces of equestrian equipment. You can also get to see ceramics made by famous potters. Another one of the reasons to visit the Florida Museum of Natural History is that its exhibits rotate. This means that the museum shows different exhibits that only last for a limited time only. Hence, you can get to see more new things as you visit the place on different dates. It’s a perfect excuse to visit the place again and again. You’ll not just get to learn new things every visit but you’ll also won’t feel bored with the permanent displays, unlike other museums. To not miss your most awaited exhibit, don’t forget to check their website frequently for updates. But don’t fret much if you weren’t able to see an exhibit that you’re eyeing on as these exhibits rotate in and out of the Florida Museum of Natural History. You’ll never have a boring time visiting the Florida Museum of Natural History. This is due to the fact that the museum often holds different events which is also one of the reasons to visit the Florida Museum of Natural History. Almost every month, the museum hosts different events where you can take part in and score freebies, discounts, and other great deals. Here are some of the events that you need to keep an eye on. Museum Selfie Day, January 12-16 – In this event, you are encouraged to take selfies in front of your favorite exhibits and the most creative photo will win an individual museum membership. Monster Dash 5K, February 2 – Here, you can join the race and win massages, gift certificates, and other freebies and it’s open to all ages. 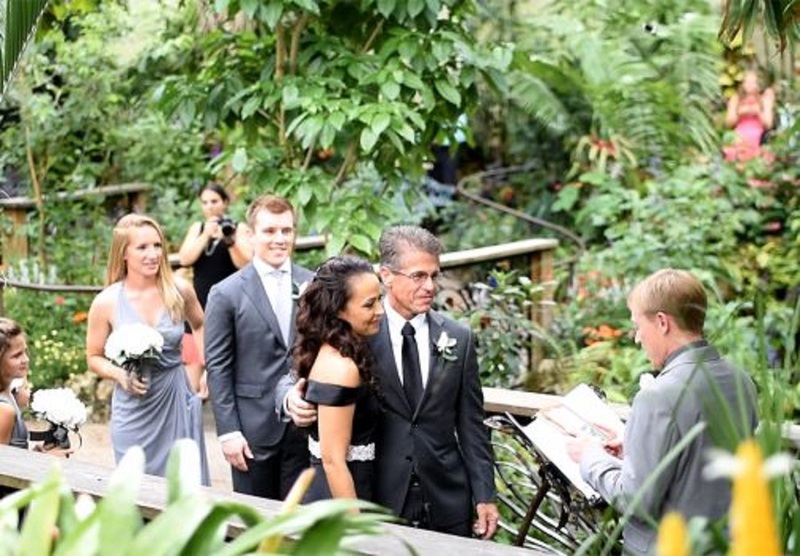 A Valentine’s Night at the Museum, February 14 – Whether you have a date or not, you’re welcome to spend Valentine’s evening at the Florida Museum of Natural History. You can play trivia and other fun activities that the museum has prepared as you savor the tasty food that they will serve. The museum is also about to set up new limited-time exhibits like the SciArt Showcase (on February 8), as well as other activities and programs like the Tot Trot Nature Walks (on February 10 and 11) and so much more, If you want to know more so you can plot your schedule, check their calendar of events here. Learning and fun never stop in the Florida Museum of Natural History. In fact, it is prepping up to bring more new reasons to visit the Florida Museum of Natural History. In just a few months, the museum will open another exciting exhibit area for its visitors dedicated to helping museumgoers to learn more about reptiles like crocodiles. The exhibition, which is set to open in May, will feature “interactive elements” which will allow every visitor to test their strength against a crocodile’s bite. The exhibit is also said to set to educate everyone on how these ancient reptiles use sound waves to make water dance, survive in the wild, and “socialize”. In addition to that, the museum will also be displaying a life-size model that will tell the story of Gomek who is known as the largest crocodile to ever be exhibited in North America. 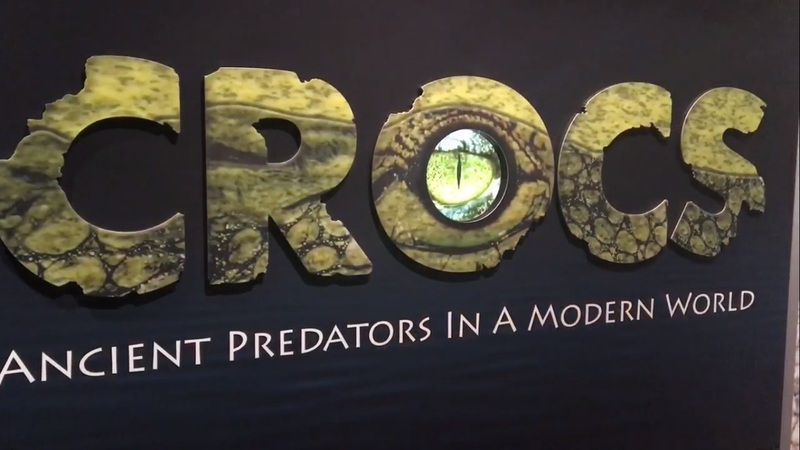 The exhibit is also expected to help visitors delve deeper into facts and know how the said crocodile became a symbol of crocodile conservation. Again, you don’t have to pay for the general admission tickets to explore the wonderful and fun things that the museum has to explore. Another one of the reasons to visit the Florida Museum of Natural History, right? However, note that the museum’s Butterfly Rainforest and Permian Monsters exhibits might require you to spend a few dollars. Don’t worry, though, it’s still very affordable and every penny will surely be worth it. In fact, you’ll only have to spend less than $20 for adults and less than $12 for kids and teens aged 3-17 to try out these paid exhibits. The best part is that they also offer discounts for Florida residents, students, senior citizens, veterans and more. 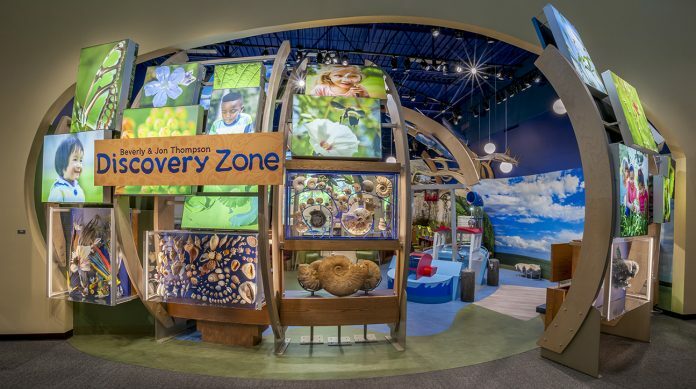 Every corner of this museum is definitely well-decorated and it’s also one of the reasons to visit the Florida Natural Museum of Natural History. As a matter of fact, its interiors are so beautifully designed that the museum can actually be used as a venue for special events like weddings and other big special occasions. Aside from its beaches, Florida can indeed talk big about its museums and the Florida Museum of Natural History is one of them.It’s one of the perfect spots for families and it has a lot of things to see that makes it one of the places in Florida that are worth the visit. So if you happen to travel to Florida, we highly suggest that you visit this place, especially if you have kids with you. They will not just love the place because of the fun interactive activities and displays that it has but they will also go home with a added knowledge about the environment as well. And again, the place has a lot of things to see for free so going here won’t hurt your travel budget.